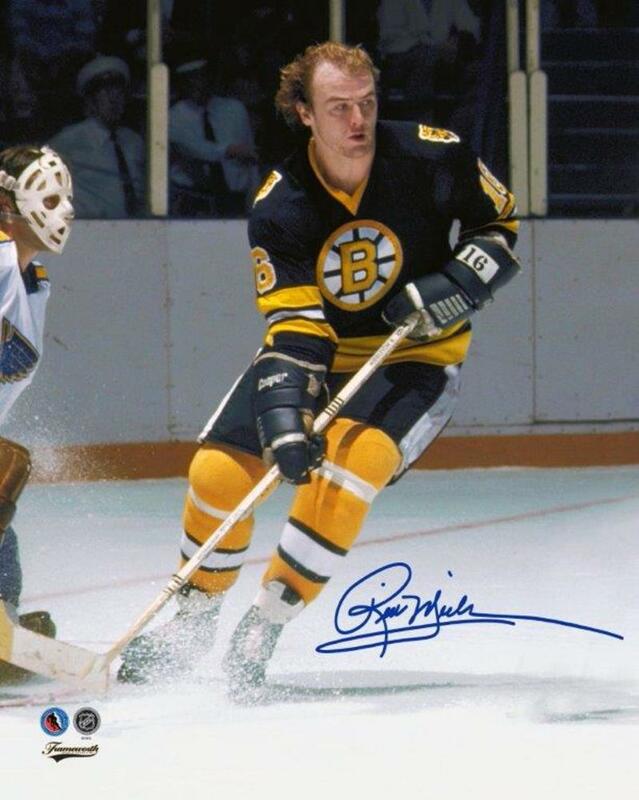 This photo was personally signed by Bruins goal scorer, Rick Middleton. Middleton accumulated 988 points in 1005 games in the NHL. Middleton carries the NHL record for most points in one playoff series with 19, and the most assists in a playoff series with 14. Rick is currently th president of the Boston Bruins Alumni. A hologram and certificate of authenticity are included with purchase to ensure the legitimacy of the autograph.